This connector-adaptor is appropriate for use with the 4" HomeSaver UltraPro chimney liner pipe system. It comes with a double band connection for a super secure attachment that doesn't depend on screws or on pop rivets. The item is made of 18-gauge 304-alloy construction, which carries a lifetime warranty for use in wood burning applications. 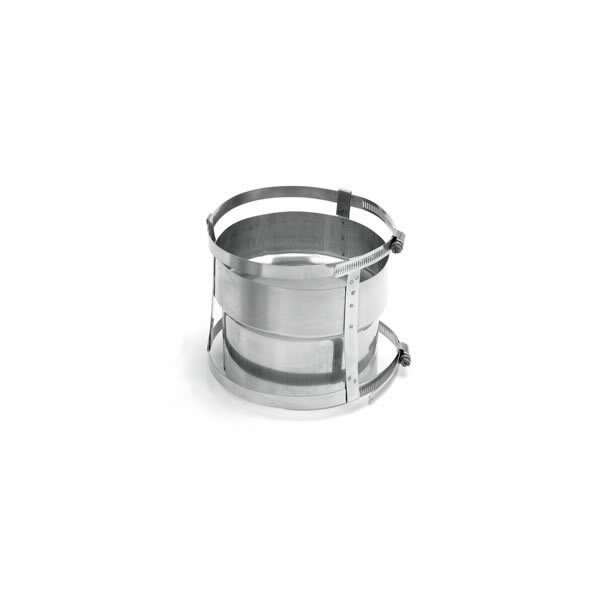 This connector is made with the high quality materials and superb construction that you expect from all HomeSaver chimney liner products.